Quantity: 100,000 MT per month. Name of Product: Gasoil D2. Origin: Russian Federation or Venezuela. Quantity: 100,000 MT per month (1,200,000 MT per 1 (one) year). 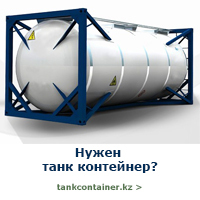 Contract Duration: 12 months with possibility of R & E .
Delivery Terms: FOB Rotterdam or FOB Primorsk (Baltic sea) or FOB Novorossiysk. Price Basis: Platt’s Rotterdam, European Marketscan. NWE Cargoes, line Gasoil 0.1%. 1. The Buyer issues to the Seller LOI with banking details (including bank name). 2. The Seller issues to the Buyer SCO with exact, step-by-step, procedure. 3. The Seller issues to the Buyer FCO. 1(one) months shipments, based on commodity’s Platt’s Rotterdam price. 7. The Buyer’s bank sends to the Seller’s bank, via SWIFT MT760, POF (now only to reserve the funds). package and issues 2% PB. Bill of Lading and all necessary in such transactions accompanying documents). period of 1 (one) year and 1 (one) day in reference to supplied ICPO (with its issue date and ref. number). Seller’s Bank : JP Morgan Chase Bank, N.A.